Hi everyone! It's Candace from Candi O. 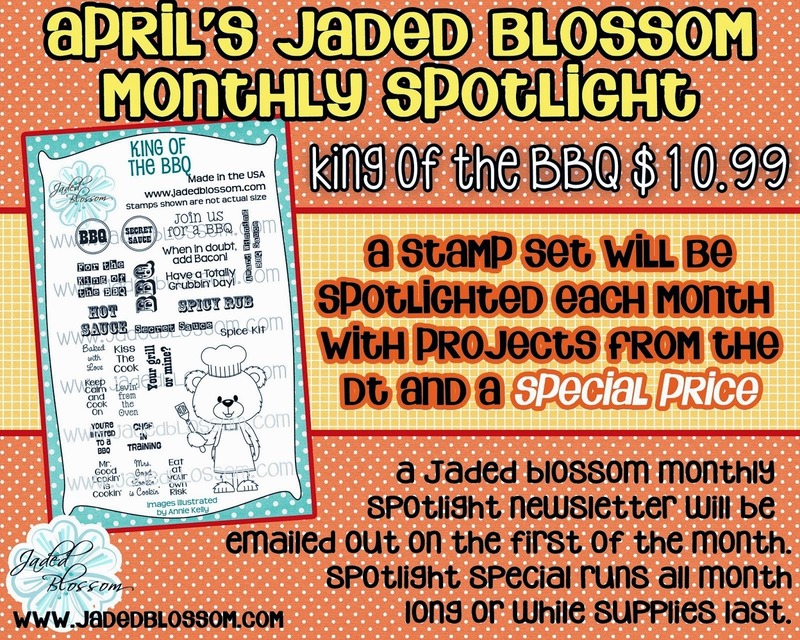 Designs and it's my day over at Jaded Blossom and I am sharing a project I made using the Monthly Spotlight stamp set, King of the BBQ. This is such a fun stamp set! There are so many possibilities with it and with the BBQ season getting in full swing, what better set to have!!! I used the Angle Treat Box for the base from SVG Cutting Files, scaling it to fit these seasoning mixes I bought. I added a "handle" to the back of the box with the oval die cut from Mini Tag Dies 2 and then tied a tag with a sentiment from this stamp set. 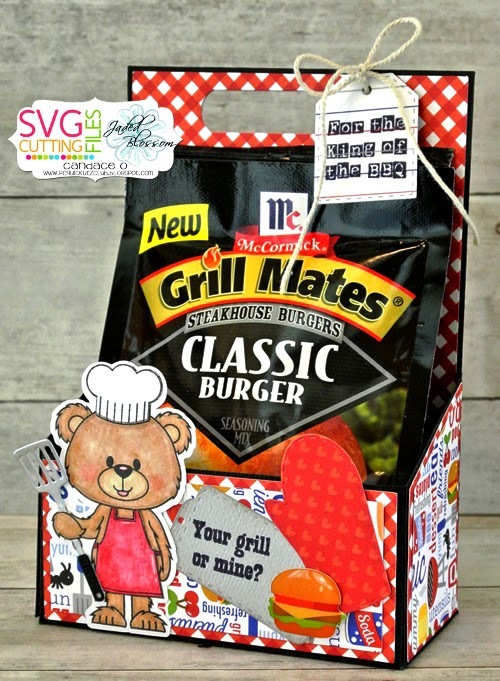 I stamped the BBQ Bear on the SVG Outline that matches this set, colored him with copics, then cut out the original flipper in his hand and added the die cut one from Baking Dies. I also used the cookie sheet and oven mitt from the Baking Dies to add another sentiment from this set. The Picnic Sprinkles from Doodlebug where the perfect touch ~ love the burger!! Perfect little gift for that BBQ'er in your life! 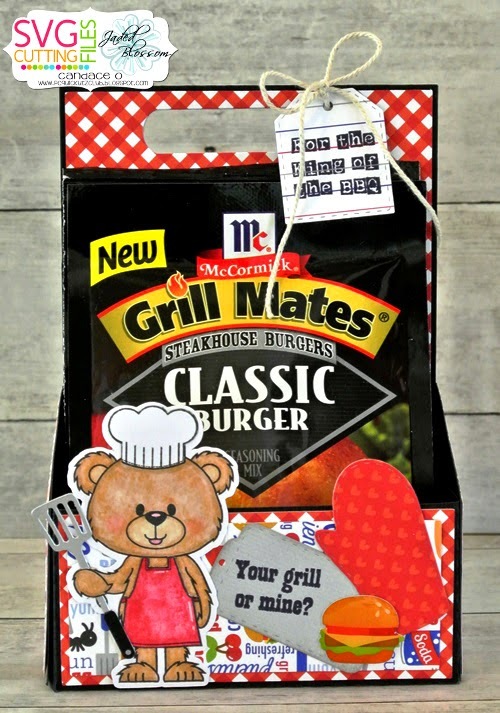 I hope you all liked my project for today and don't forget to get your own King of the BBQ stamp set at a great price this month! AWESOMENESS!! This turned out so darn cute! What a fun idea, so super cute!